Manufactured by Murphy Radio, this A96 export model has a Bakelite cabinet by Thomas De La Rue & Co. The radio covers medium wave and has two short wave bands. Being an export model for use abroad, there is no long wave band – but the shortwave dial is marked with several BBC Overseas stations. 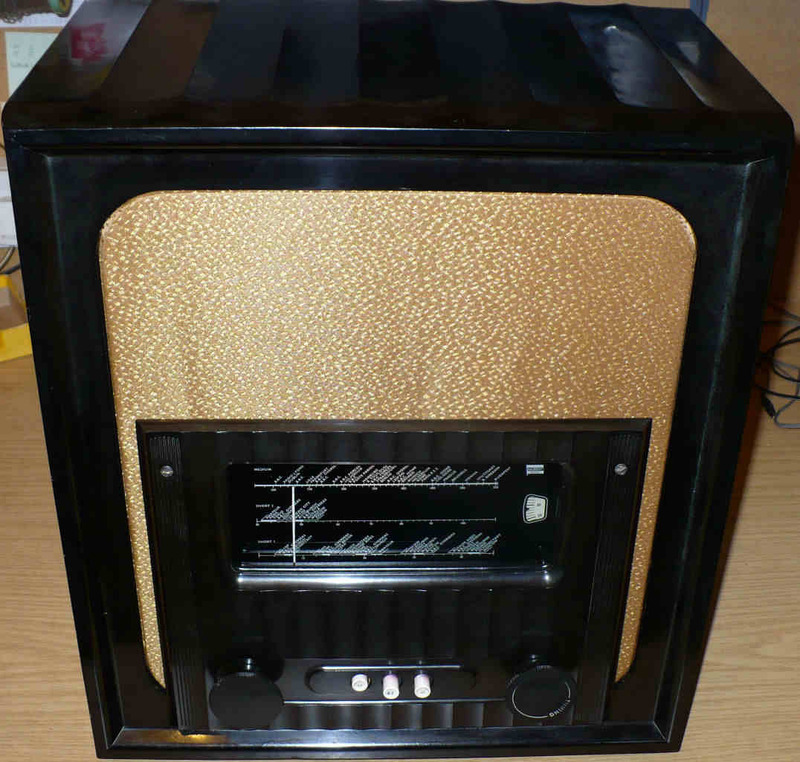 This is a much sought after vintage valve radio. The circuit diagram for this radio is available in the Members’ Area here.